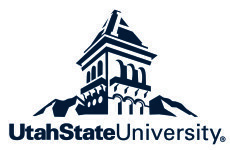 Lab director, Dr. Stephanie Borrie, was recently awarded the Utah State University Research Catalyst Grant ($20,000) for investigations on rhythmic entrainment in clinical populations. This award will fund a study examining analysis of interpersonal coordination in conversations involving people with neurological speech disorders. This is a new, and much needed, area of study in the field of Speech-Language Pathology.